Here’s why each Christian needs the church — and why the church needs each Christian. 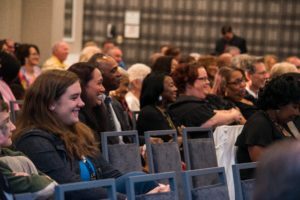 Grace Communion International reflects its name by being active in more than 100 countries and territories, with people attending weekly services in hundreds of congregations around the world. From Bangladesh to British Columbia, people are touched, helped and transformed by the personal and public outreach of the church and its members. Address the problems and challenges humanity faces today, pointing people to faith in Jesus Christ. The church is a ministry that has a commitment to live by the word of God as revealed in the Bible. The church bases its doctrines and teachings on New Testament faith and practice. It places biblical revelation above custom and tradition. During more than 60 years of ministry, the literature and other efforts of the church have helped thousands see how the Bible is relevant in today’s world. Though the Bible may not always be an easy book to understand, it is the Creator’s revelation of the information humanity needs to know. That is why the church so strongly emphasizes the need for Christians today to study and be familiar with its contents. Our ministry focuses on what Jesus Christ has done for us, and how we are to respond to him. We try to help people live more meaningful lives as they follow Christ. The church’s high view of the Scriptures leads it to conclude that God is compassionate, fair and just, and that he will one day establish a better world tomorrow. We have confidence of a better world yet to come. This optimistic view of the future inspires the church’s ongoing efforts to do good works. The church believes most firmly that God’s promise of salvation is open to all races, cultures and peoples. We are also committed to encouraging strong family relationships. We see the family unit as a vital tie that helps bind societies together. We have devoted much of our ministry to providing information and materials on marriage, childrearing and how to hold families together during difficult times. The church emphasizes the need for its members to devote time and energy to maintaining and improving family relationships. Church members come from a broad diversity of backgrounds. They see the need to be actively engaged in their communities. Some serve on various committees in their local towns and cities. Others help out in food banks or sponsor sporting events to help underprivileged children. Some of our teenagers clean litter from public highways. We try to be involved, but we do not espouse any particular political views or platforms.